Ewing's sarcoma. 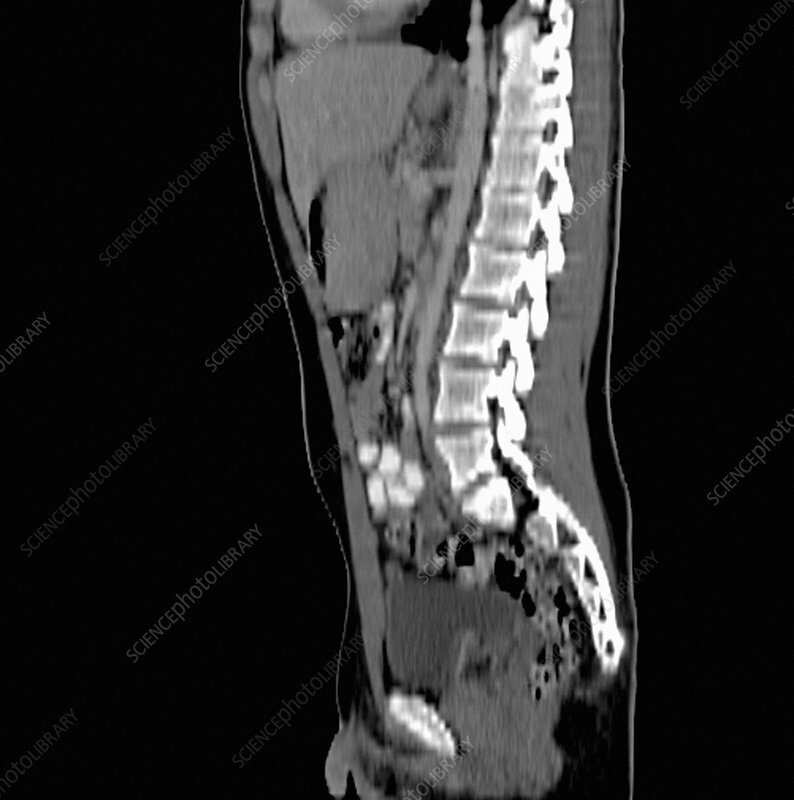 Computed tomography (CT) scan of a sagittal section through the torso of a 17 year old boy with Ewing's sarcoma, a type of bone cancer. The front of the body is at left. The tumour (white) is in the pelvis at bottom centre. The cancer originated in the right pelvic bone. Ewing's sarcoma is most prevalent in teenage boys. Treatment is with surgical removal of the tumour, where possible, and chemotherapy and radiation therapy.